In my practice, I see many families who present with a variety of concerns about their children. Although these concerns may look quite different, many of them have at the centre a similar concern; how can I improve my relationship with my child? This question may present for parents upon discovering that their child, who seemed to be swimming through life untroubled, has been struggling to keep afloat. It is not uncommon in the first session for parents to share with me some feelings of regret that they never knew what was going on with their child until it had reached crisis point. 1. Kids need quality time, but they need quantity too. We hear all the time that kids need ‘quality time’ with their parents. Time spent listening intently, being very present, having connected conversation as we engage in an activity with them is very important. But my experience as a therapist and as a parent is that it doesn’t just happen. We cannot necessarily schedule ‘quality time’ on our schedule and expect there to be an instant connection. If we schedule ‘connection time’ e.g. taking our child out for morning tea so we can talk, what often results is our child freezes and clams up. Connection, especially with teenagers, often happens in the midst of lots of indirect quantity time. Time spent driving in the car, walking back from soccer practice, cleaning their bedroom together, going grocery shopping. It is often within those moments that our child shares an anxiety or hidden sadness, not necessarily when we have created the time to connect. 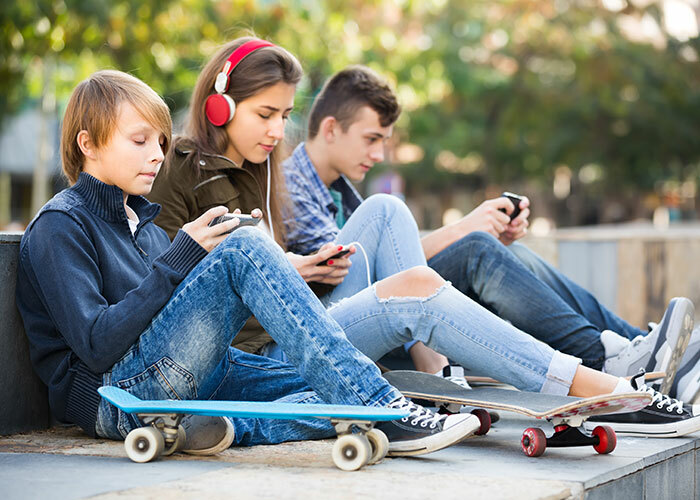 Connection, especially with teenagers, often happens in the midst of lots of indirect quantity time. Time spent driving in the car, walking back from soccer practice, cleaning their bedroom together, going grocery shopping. It is often within those moments that our child shares an anxiety or hidden sadness, not necessarily when we have created the time to connect. 3. Show an interest in what they are interested in. I’m not in love with the new Pokemon Go app. I’m also not really into various YouTube videos or doing Musically film clips. But here is a secret. To my children I am. Why? Because it is important to them. If I show disinterest, it shuts down a whole raft of opportunities for connection where they come to see me as someone who is fun, interested in what they think and values their opinion. Whatever your child is into, make it your thing too. Ask lots of questions. You may be surprised what else they tell you as you go searching forPokemons…together. 4. Practice random acts of kindness. Unexpected acts of kindness can gain a lot of parenting currency. Little acts of love or caring can do so much to promote closeness and shift a trajectory of disconnection. Often the smallest things can make a difference like doing one of their chores for them (without reminding them grudgingly!) to give them a break, talking about them positively to another person when you know they can hear you, offering to go the extra mile cheerfully when they are expecting you to say no. 5. When you most feel like withdrawing from your child, approach. Our children, to be honest, can sometimes be very difficult to be close to. They push our boundaries, press our buttons, resist any limits we set. Their behaviour at times can be so challenging that we feel like withdrawing. My experience as a therapist and as a parent, tells me that when we most feel like withdrawing we need to approach. Not in a “you are so in trouble’ way but in a ‘ You’re not yourself, are you ok? ‘ way. Often underneath our children’s most troubling behaviours are troubling emotions that they long to talk about, but don’t have the words for or know where to start. By getting alongside our children once they are calm, giving them a shoulder squeeze and gently enquiring if they are ok we can do so much to repair the relationship when it has gone awry. And it’s our job to do it. The Circle of Security tells us that as parents we need to be stronger, calmer, wiser than our children. I always have a heart sinking feeling when I hear of a parent who has distanced themselves from their children, cut them off in anger or left them feeling anxious ‘to teach them a lesson.’ We may feel justified in our parental actions in those moments, but the true casualty in failing to repair the moment is our relationship with our child. These are just a few thoughts I have about simple ways to build connection. They may not be the perfect answer but if your relationship with your child matters to you, and if you are reading this I think it is, then you might like to give them a try.